We sat down with one of the most highly sought-after Hair and Make-Up artists in the wonderful city of Dallas, Amy Bjork! We asked Amy if she would mind answering a few questions for us, so that you could get to know one of our favorite artists too! You just worked on a very cool ad for JCPenney – tell us about that shoot? 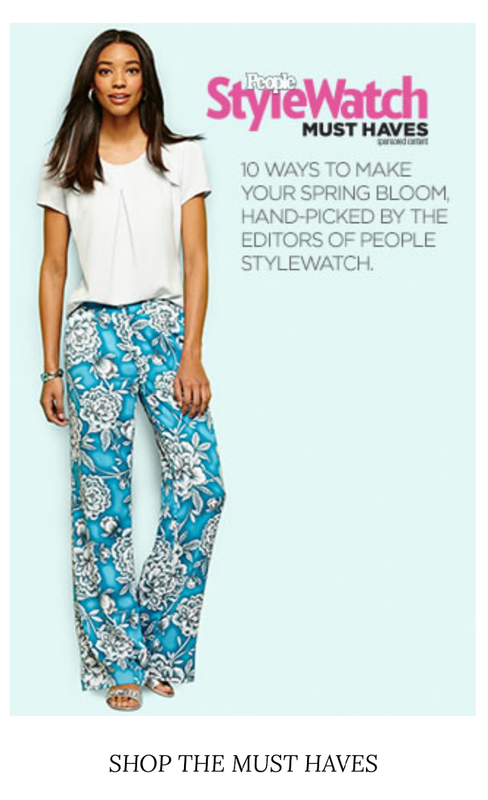 The "People Magazine Style Watch" job was just as awesome as all of my JCPenney Jobs. I am lucky enough to get to work with some of the best people in the industry. We shot this job at the JCPenney corporate headquarters in Plano, Texas. We get to shoot these on a regular basis. People magazine is such a popular magazine for both Hollywood gossip and for current fashion trends! It was such a blast to get to be a part of their trend ads! Forgive us while we take a moment to gush about how incredibly gorgeous these JCPenney ads look...how talented is Amy!? What advice would you give to up & coming Hair and Make-Up artists? The fashion industry seems to stay strong regardless of outside goings on… so any advice that I would have for up and coming makeup and hair artists, is continue education! I don't think you can ever know enough about skills and practical applications! The industry in constantly changing…. and I hear practice makes perfect!! What one product should women never leave home without? Favorite product? One of the many products, not only women shouldn't leave home without, but people of all shapes, color and sizes……sunscreen!! Our environment is also constantly changing. The sun seems to be getting more and more intense as time passes. The best advice I could give anyone….. is protect one of the most important things you have….your skin. It is the largest filter we have for our health. Take care of it!! Protect it!! Use sunscreen!! Do you have a secret hair and make-up tip you can share? I have to say, one of my very favorite products is an eye/face "de-puffer". It’s Nickel brand "Morning After Rescue Gel". It is the most incredible eye/face de-puffer I have ever used!! It is a wheat/soy based gel that contains caffeine and menthol among other things. The caffeine is the ingredient that is effective in calming down the under eye puffy we all know and don't love so much!! The menthol is a bit spicy but the vapors really wake your eyes up! One of my favorite products ever!!! We are so proud to represent you at Page Parkes – what is one thing that you can tell us about you that we may not know? So, I have been represented by Page Parkes- Dallas for almost 24 years….longest relationship I've ever had! Lolol (Couldn't do it without them!!) One thing that you may not know about me is that I still get giddy and kind of nervous every new job!!! Even after 24 years! I love the excitement of a new adventure! I am very blessed to have found such an amazing career with such supportive people! On the way to your shoots – what are you currently listening to? As far as music these days……. I have to say, Bruno Mars has made a serious statement during our shoots!! Kids always request his tunes! Meghan Trainor is also a top fav during our photo shoot time! Me personally?? I am obsessed with the Arctic Monkey, Jack White, the Black keys. However….bust out some Prince and I'll be dancing in the Purple Rain! Amy is not only incredibly talented, but she is a joy to work with! Thank you Amy for taking the time to answer our questions.